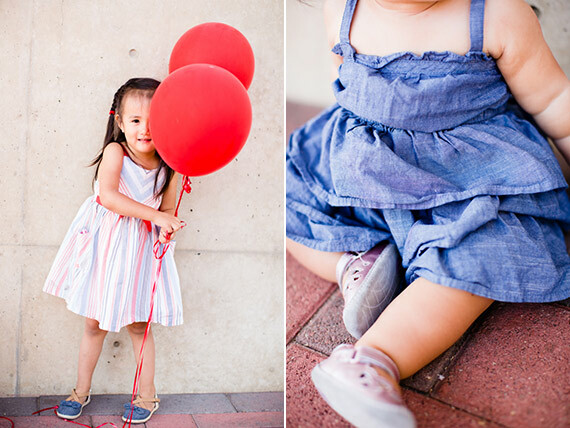 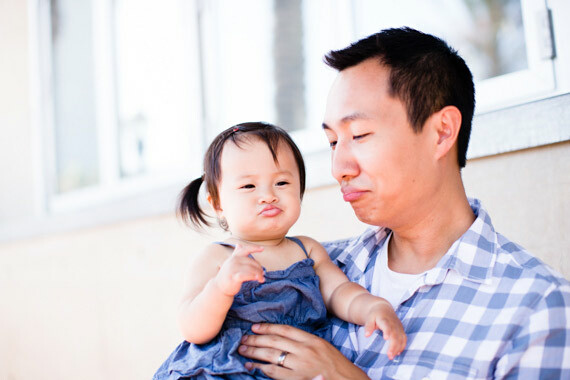 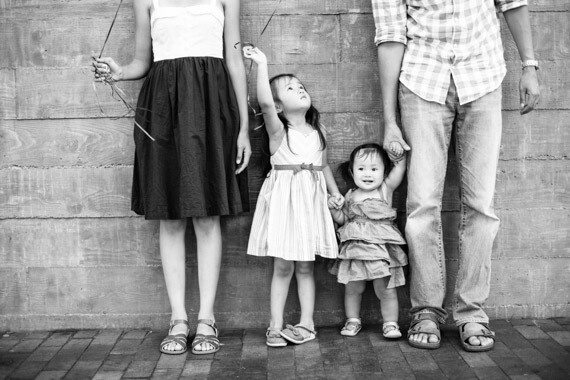 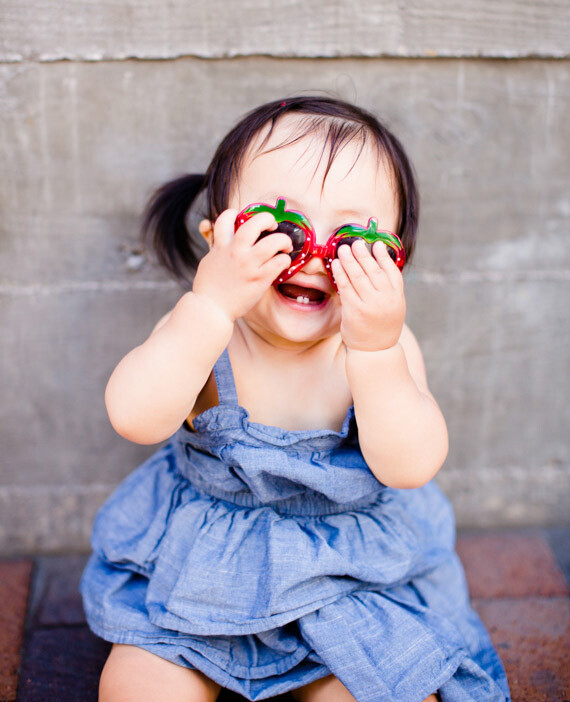 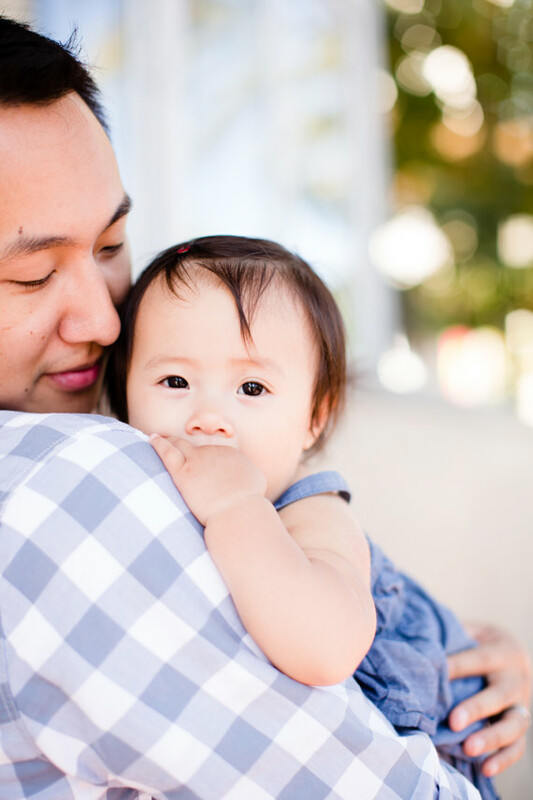 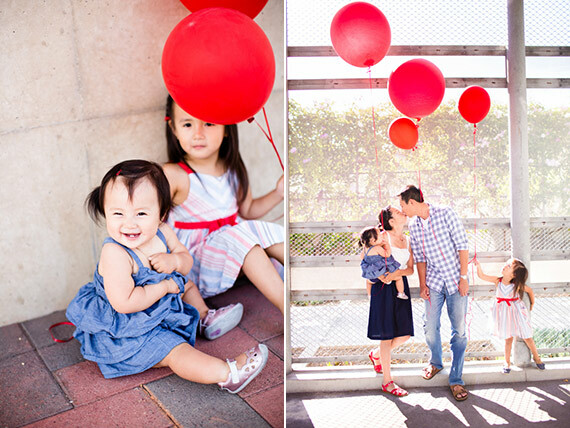 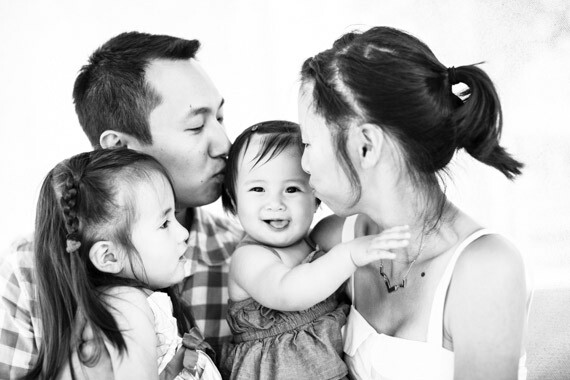 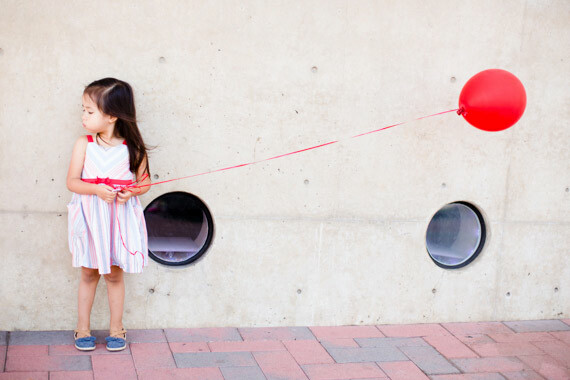 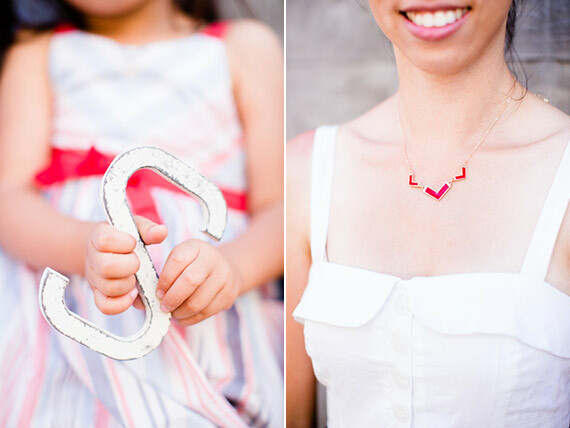 To commemorate both their youngest daughter turning one, and their upcoming five year wedding anniversary, momma, Phyllis hired Jen Fellows of Acqua Photo to photograph their little family all around downtown San Diego. 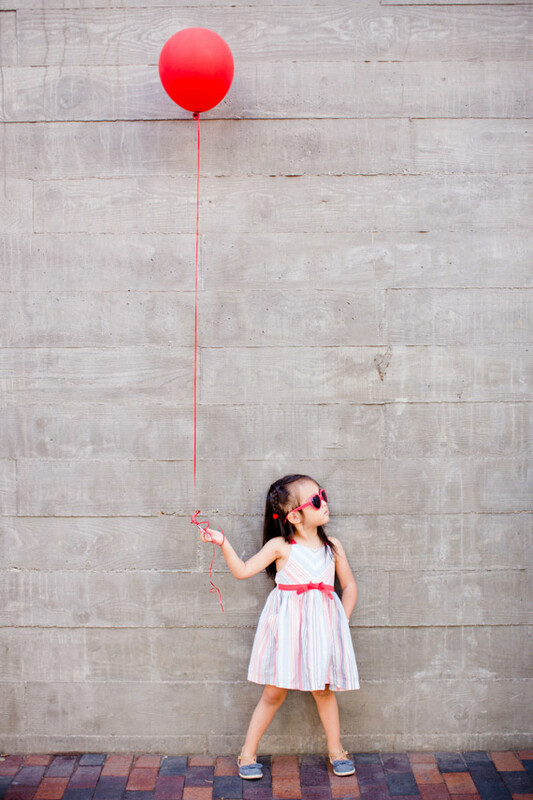 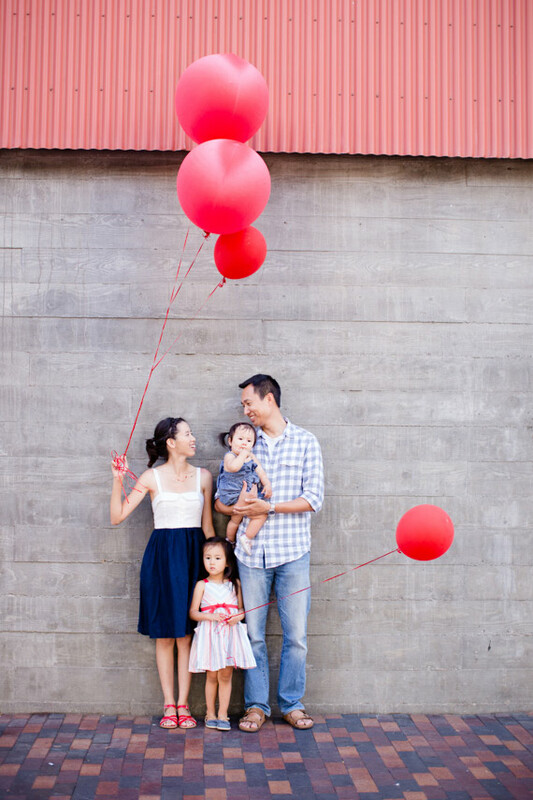 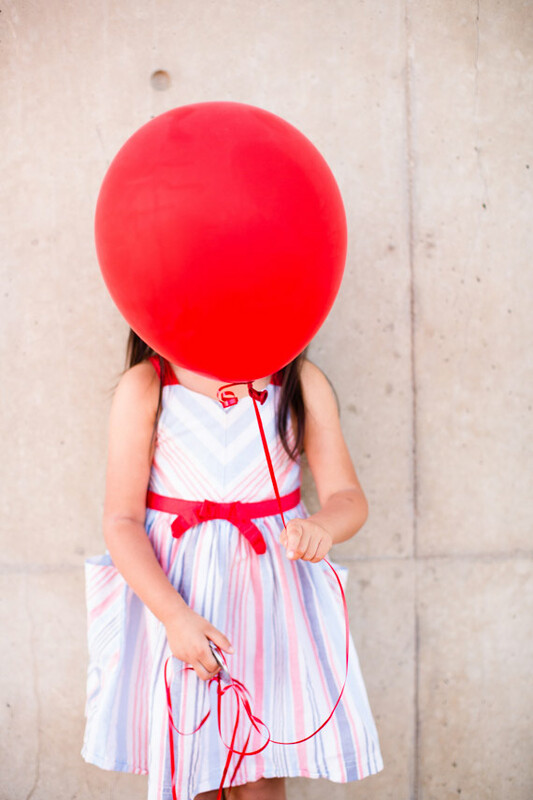 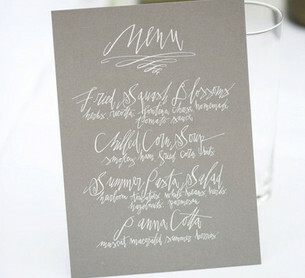 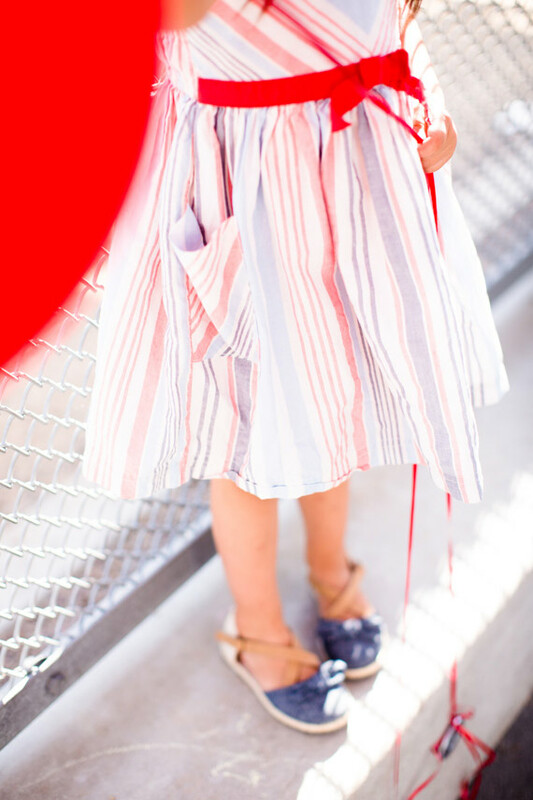 The visual of the big red balloons was a recurring design motif they had used in their wedding, so they included one to represent each member of the family. 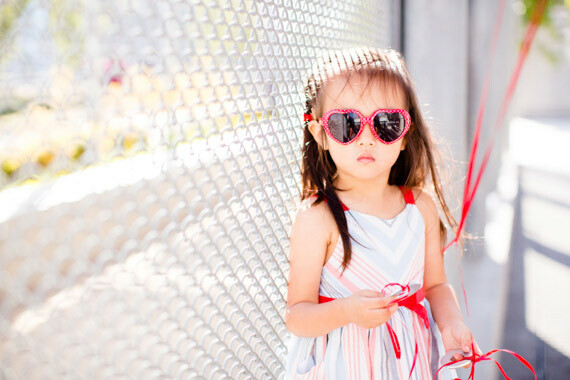 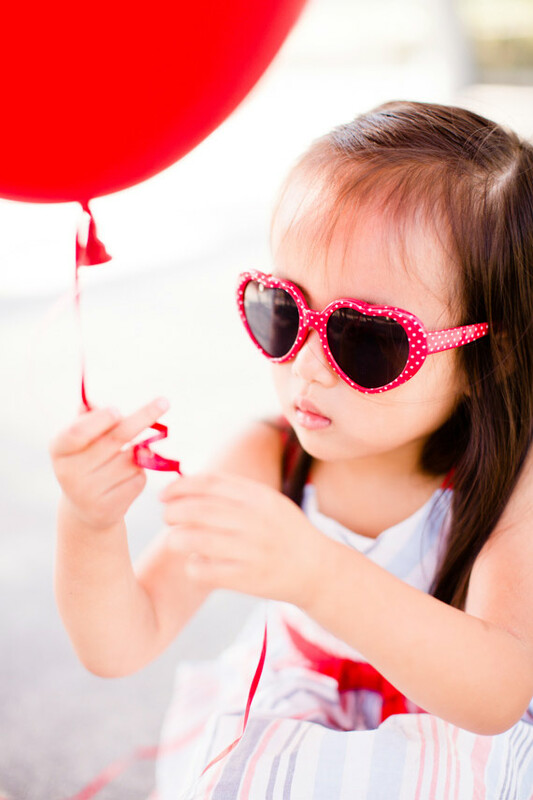 Those heart-shaped sunnies are amazing.